It only takes one flight to discover a simple but powerful truth. There is no better way to see the effect of the hand of man upon nature than to view it from above. For good or bad, the big picture is easily revealed, and the knowledge gained from that perspective provides insight that can lead to affirmation on what works, or to better choices to fix what doesn’t. If you fly in the southeastern United States, and especially have the good fortune to pass over the ridges and valleys of the Appalachian and Smokey Mountains, you’ll see evergreen and hardwood forests that look much as they did when Native Americans called them home, and pioneers first explored them. The vastness of the land once deemed wilderness still astounds, even when traveling above it at speeds unthinkable not too many years ago. 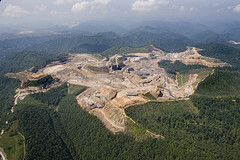 But often, in the midst of an ocean of trees there will appear the jarring and obvious scars of mountaintop removal; the sacrificing of near pristine forest to get at the coal and minerals that lie beneath the roots of trees and brush. It is instructive to see this standing on the same level, and it is far more powerfully instructive to see it from a few thousand feet above. That’s what SouthWings does. 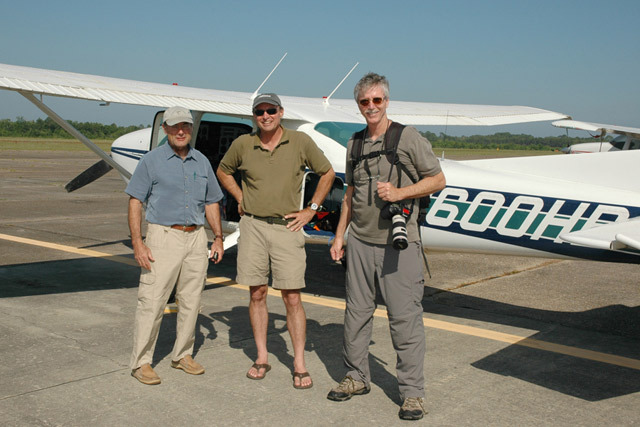 Its volunteer pilots take decision makers and educators aloft to give them a birds-eye view of the effects of strip mining, grading, development and effluent runoff. And since 1996, they have done so not only above the mountains, but above the low lands, estuaries and coastlines of the 11 state region they serve. Since SouthWings was founded they have flown with over 800 partner organizations, and average approximately 170 flights each year. Based in the picturesque city of Asheville, North Carolina, SouthWings offers an aerial perspective to provide an “experiential understanding of environmental challenges and opportunities for conservation”. They do their work with four full-time staff members and the support and direction of a nine member board. Once a mission is chosen, the flights are conducted by one of nearly 40 volunteer pilots who take aloft members of the media, volunteers from other grassroots organizations, VIPS and most importantly, legislators and policy makers on the state and national level. It’s one thing for a member of a legislature to look at stack of papers proposing approval of a new mining operation, and it’s quite another for them to fly above an existing mine to see what happens when a proposal becomes a reality. Only when seen from that perspective can the scope and impact of past decisions be put into context. And the same is true when it’s time to consider a permit for a industrial plant that will be located next to a freshwater source. The gift of this perspective (SouthWings does not charge for flights) is a proactive one. They want those who will make decisions that can affect generations to come to be fully aware of the consequences in advance, and not make choices that force others to react to a crisis that could have been avoided. But when a crisis does arise, as with the devastating Deepwater Horizon oil spill off the coast of Louisiana, SouthWings is prepared to help. During the early days of the spill, when BP and local officials downplayed the extent of the amount of oil gushing from the damaged well, SouthWings joined other volunteer organizations to help document the amount of visible oil spreading across the Gulf of Mexico on its way to the shores of several states. SouthWings volunteer pilots flew over 50 missions, providing timely and critical information to people in a position to try to find solutions to an unprecedented environmental impact. SouthWings volunteer pilots come from all walks of life, and generously provide their time and the use of their aircraft because they know they have a valuable service to offer. They know this because they are fortunate to see the earth in a way that was denied to people before the first lighter-than-air machines left the earth, and this relatively new way of seeing is a constant reminder of how valuable is the land below, and how critical the need to preserve it for those to follow. 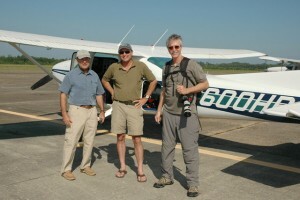 To find out more about the aviators and missions of SouthWings, or to learn how you can help, visit www.Southwings.org.